Escape the stresses associated with traffic congestion in London and the South East, the hassle of public transport and the worry of unpredictable delays, by using air charter in London, to fly over those on the road and rail in a helicopter. Make getting into and out of London quick and efficient by using air charter in London to fly into the vibrant city, whether you are spending a day in meetings or enjoying a trip to the Theatre. Arrive alert and ready to do business in the UK’s capital city or simply enjoy the day ahead shopping, by using an air charter in London to enable you to travel stress-free and with the flexibility you need, should your plans alter at the last minute, with a meeting overrunning or the opportunity to enjoy a post-show drink. Maximise your time by using the efficiency provided by air charter in London to save you time and enable you to attend extra event. Spend less time travelling and less time in hotels (saving you accommodation costs) by covering greater distances in shorter timeframes. Gain the maximum benefit from this hassle free point to point service, which means you are able to leave your car at home and avoid finding a taxi to arrive on time. Using air charter in London means transport to and from the take-off and landing sites will be arranged for you, if you wish. Bespoke air charter in London services cater for your many different requirements from a hamper on board to multiple destination stops in a day. 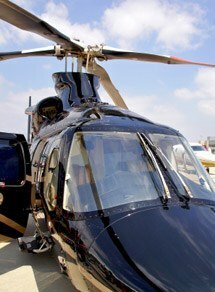 Receive all the information you need for a successful trip including free advice about which helicopter is best for your air charter in London. Friendly and professional staff will help you select from an extensive fleet and attend to all your travel arrangements so you can concentrate on your day ahead. The ever-increasing London air charter market has shown just how popular and efficient helicopter hire is for people who need to travel around London, the UK and the near continent. Please call our team on 01256 635000 to discuss your how using air charter in London will solve your transport problems with one call.